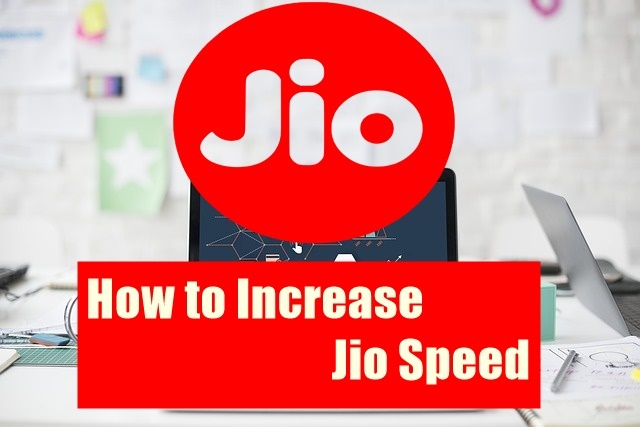 How to Increase Jio Speed: If you use a 4G smartphone, then you must use Jio Sim in it because Jio offers very cheap internet as well as many offers from time to time, but many times the Jio net speed is reduced Due to the problem of too much trouble has to be done. As we all know when Jio SIM was launched, Jio net Speed was very good and without any buffering, we could run the Internet, but recently the Jio net speed has decreased due to which we now have internet in Jio As fast as you can not see. There can be several reasons for this because due to the increase in the Jio user in your area, due to lack of Jio tower, because of no Jio range, etc. and because of the reasons for your smartphones and slopes for smartphones. So if your Jio Net Speed is decreasing due to your smartphone's settings and slopes of smartphones and the Internet runs very slowly, then you can increase the Jio net speed by using our recommended methods. First of all, it is very important for you to know why our Smartphone causes Jio net speed to be slow because usually a lot of people make this mistake, Because of this, Jio net Speed decreases. If your smartphone has such apps that you do not use, then they also take the space of your smartphone and slow down your smartphone, causing Jio net speed to slow down so delete such apps. If you use a lot of apps in your smartphone, then we will tell you that there are many such apps that are started on your mobile and you also use your internet, due to which the Jio net speed is reduced So keep stopping such Running Apps. It is often seen that many smartphones using the phone open from morning till evening, due to which the smartphone slows down and all the apps use the internet, which reduces the Jio net speed So keeps the apps you just need to open together and keep the rest closed. When you use smartphones and run the Internet, a Cache file is created that slows down your Jio net speed so you have to clear the cached data from your smartphone. To set up Fast Internet in Jio SIM, the most important thing is to have the mobile SIM setting, after which the Jio net speed increases, so how can you change the settings of your phone and increase the speed of the Internet on the phone. To increase the Jio net speed, you go to Mobile Setting and then click on More or More Connection option, after which you see the option of Access Point Names, click on it and Add New APN. After that, you get to see a lot of options as shown in the photo, after which you have to make changes to the options mentioned below. Jio Sim 4G, so use it in the first slot of your smartphone as most of the smartphones have the first slot 4G and the Jio Sim works better in the first slot. Check that your internet data is running with Jio sim. In the preferred network type, select 4G. Check the Access Name Point or Reset it. Select automatic in the Network Operator. Restore your smartphone after setting all this and then check Jio net Speed ​and if you have any problems related to Jio sim, then comment below we try to solve all the problems. So, guys, you can increase your Jio net speed. We hope that this method will be helpful to you. If you like our post, then share it with your friends on Social Media.